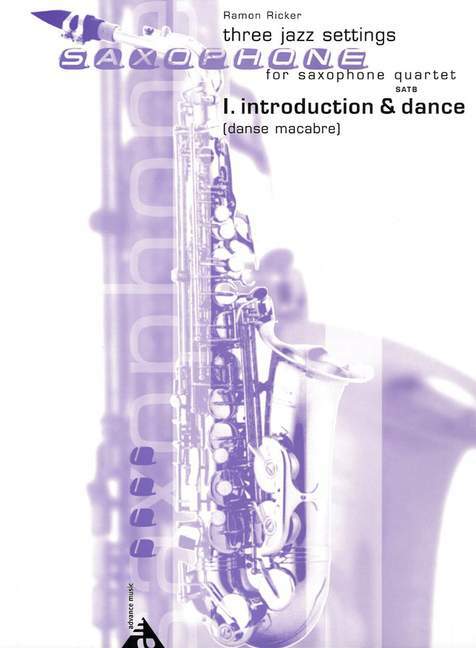 A new Play along system for learning to play jazz. 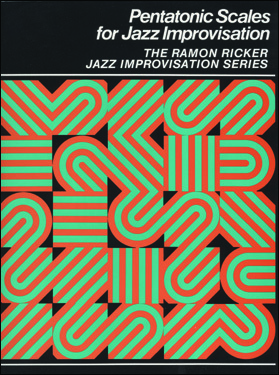 Each set contains a book with transposed parts for all instruments and a play along CD with Ray playing many of the book examples on his saxophone. 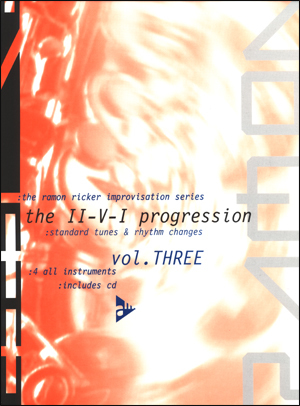 Book three is devoted exclusively to the II-V-I progression, rhythm changes and standard tunes and is intended for players of all levels who are serious about learning to play on changes. 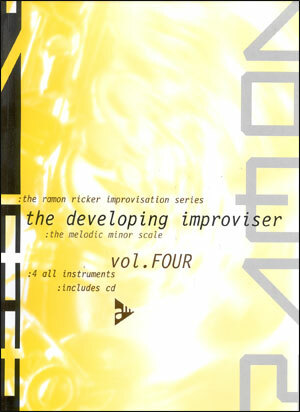 VOCABULARY:The II-V-I Progression, Half-Diminished Seventh Chords, The Locrian and Locrian 2 Scales, Altered Dominant Chords, The Altered Scale, Guide Tones, Using Triads as Guide Tones, Walking Bass Lines, Major Scales with a Passing Tone, The Major Workout, Applying Major Scales with a Passing Tone to II-V-I Progressions, Applying Dominant and Major Scales with Passing Tones to II-V-I Progressions, and The Rhythm Changes. STYLE: Using Guide Tones When Soloing, Using the Melody as a Basis of Your Improvisation, Learn the Lyrics, and Learning the Melody. 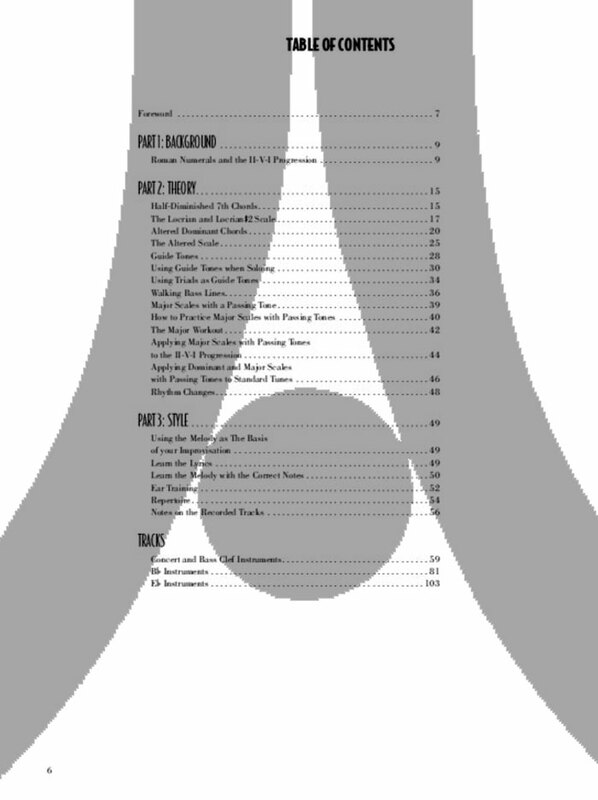 EAR TRAINING: Specific examples and suggestions with recorded tracks for practice. REPERTOIRE: List of Selected Jazz Compositions that Extensively Use the II-V-I Progression, Selected Standard Tunes that Extensively Use the II-V-I Progression, and Selected Compositions Based on Rhythm Changes. 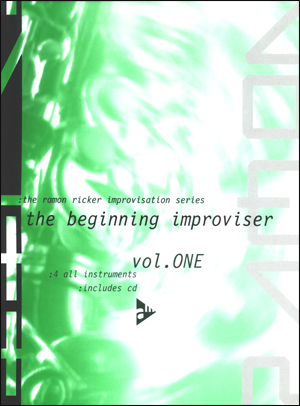 This improvisation method is more than just another play-along. It is a series of books and CDs that progress step by step, offering concrete suggestions and advise that shows you how and what to practice. 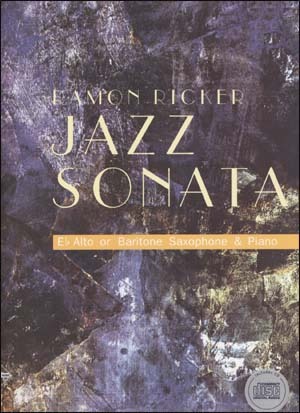 Drawing on twenty-five years of teaching experience at the Eastman School of Music, Ramon Ricker uses text, recorded demonstrations by him and his students, and practice and play-along tracks that present the material in a clear and concise manner. Most of the play-along tracks feature the rhythm section of the 1980 Thad Jones/Mel Lewis Big Band with Harold Danko on piano, Rufus Reid on bass and the late, great Mel Lewis on drums. Since they performed and recorded together consistently over a period of several years, they played as a unit - a true jazz rhythm section. The recordings were brought up to meet todays higher CD standards and served as an inspiration for Ramon Ricker to write three entirely new books. In addition, new demonstration, ear training, and play-along tracks were added.